Don't know if you've noticed but Venus and Jupiter, which are the brightest objects in the night sky after the moon, are appearing one on top of the other in the southwest as the sky begins to grow dark. Venus is the brighter of the two. Jupiter is above it. They set around 8 p.m. I noticed them a few nights ago, knew they were planets, but which ones?? So, off to one of my favorite websites - StarDate online. I always check out the moon phases on this site. They have a wealth of information. According to the Weekly Stargazing Tips page, Venus and Jupiter will join the crescent moon on Nov. 30th and continue to change positions over the next few days. Don't you just love looking at the night sky? 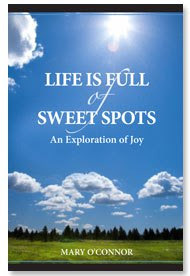 Pam, I am thrilled to have stumbled upon your website and blog this morning! Delighted by it's contents! My husband and I are American Expats temporarily residing in Paris, France and after two years abroad will be returning January, 2009 (maybe sooner) to our home in Bluffton, South Carolina! As an aside, my father was a commercial artist/career and instilled in me the love of all beautiful things... nature, art, photography, etc. Maybe attending one of your workshops (talent may be hidden deep :)/meeting you is in my near future! Just so appreciative to see your art/read your blog about our lovely South Carolina! The majority of my family resides in Columbia. Carla, So glad you touched base! And, thank you for your kind words :) Lots of workshops happening in Jan - March at SOBA on Boundary Street. I'd love you meet you and help awaken your sleeping creative juices! Safe travels home. Prepare yourselves, Bluffton has grown a lot in 2 years. Peace!